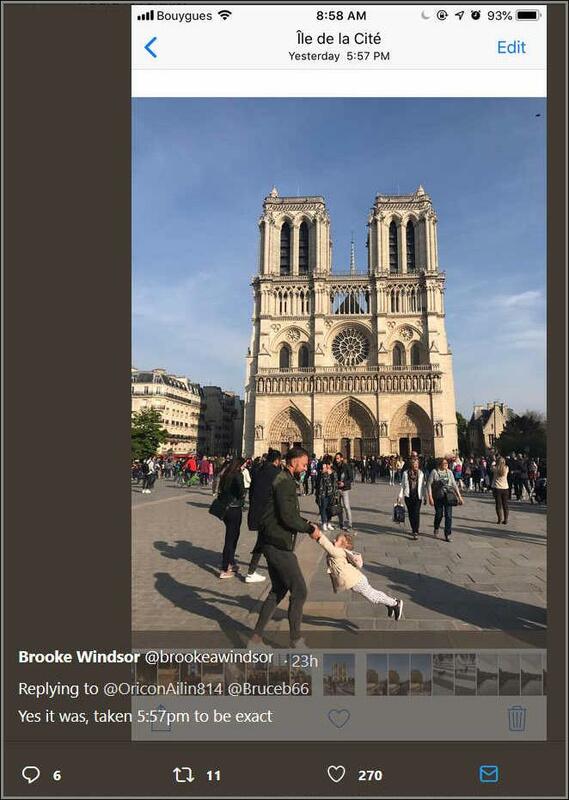 Photo of father playing with daughter one of final images before Notre Dame fire – A woman who took the photo about an hour before the fire is taking to social media to track them down. Photo of ‘father and daughter’ playing outside Notre Dame Cathedral turns into viral search — A tourist who snapped the picture said it was taken an hour before the cathedral was engulfed in flames. 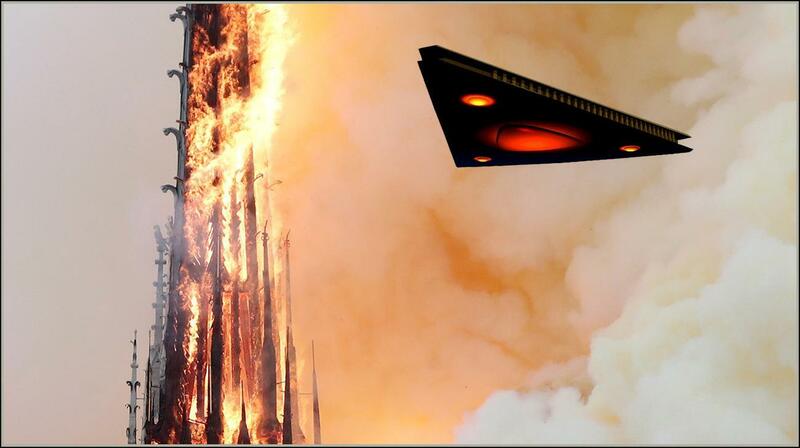 Brooke Windsor Captures TR-3B photo one hour before fire.